Fellow El Pasoans describe Rep. Beto O’Rourke (D-TX) as an “honorable Latino” who has had the best interests of his community at heart, going back to his days as a city councilman. O’Rourke, who is seeking to unseat Republican Ted Cruz as U.S. Senator this election season, told Latino USA that 85 percent of his fellow El Pasoans are Mexican-American and that alone makes him receptive to the needs of the Latino community. His supporters echo his sentiments. “He’s got the heart of an idealist but the intellect of a pragmatist as well as genuine goodwill toward all demographics, Latinos in particular, and no, it’s not for show,” said El Pasoan Andrés López, who has worked for his campaign before but does not speak on its behalf. 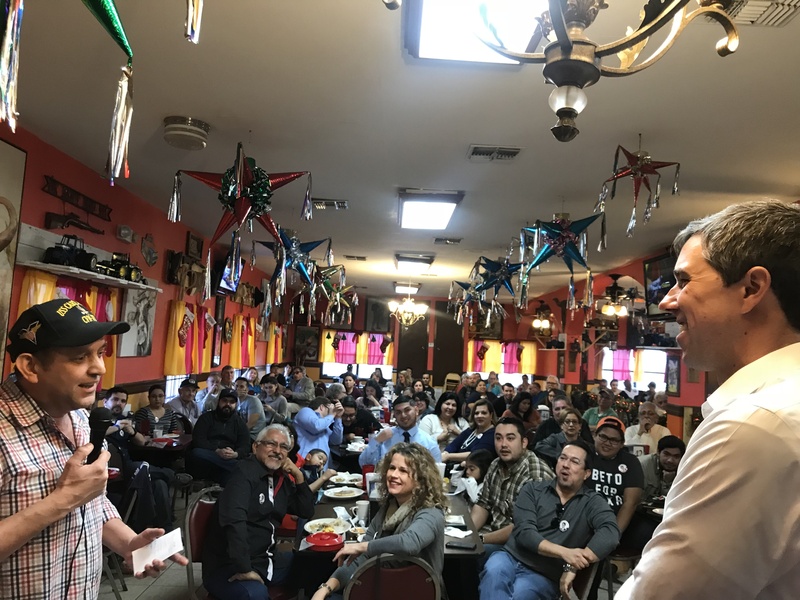 O’Rourke said he has Latinos working on his campaign and had more than 10,000 volunteers from across the state making phone calls and texting people in both English and Spanish. “We’re not taking anyone for granted,” he told Latino USA. On the night of the primaries, Democrats across Texas rejoiced as the historically conservative state saw record voters show up at the polls in support of O’Rourke. For the first time since Wendy Davis’ gubernatorial campaign in 2014, they felt a glimmer of hope that their state could be transitioning from red to purple. But those hopes were somewhat dashed when votes started rolling in showing the Irish-American’s numbers weren’t as high as anticipated. The three-term congressman earned less than two-thirds of the statewide vote, or 62 percent of the vote. He lost almost every county in the Rio Grande Valley and other counties with large Latino populations, such as Bexar, Dallas and Harris. His supporters praise O’Rourke for not taking money from political action committees, visiting 226 of the state’s 254 counties and raising nearly $9 million by running a grassroots campaign. His Democratic primary opponents, however, relied mostly on social media for their campaigns and reported raising less than $10,000 combined. His most serious opponent was Sema Hernandez, a Houston activist and self-described “Berniecrat” who earned 24 percent of the vote. She overtook O’Rourke in several key border counties with large Latino populations. Experts said if O’Rourke has any hope of unseating Cruz, who has been in the Senate since 2013 amid an unsuccessful 2016 presidential bid, then his campaign needs to focus on winning over the Texas Latino voter. Despite record votes in March, Latinos are still grossly underrepresented at the polls. 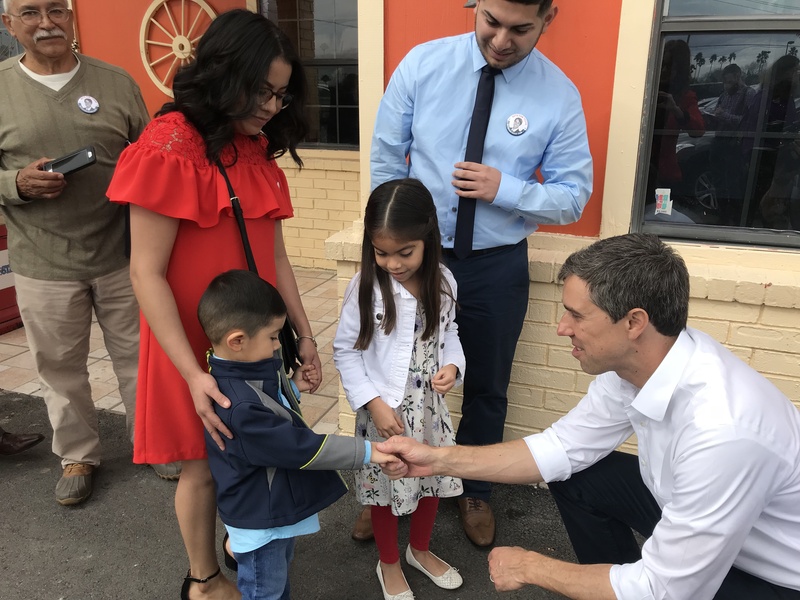 Cristina Tzintzun, founder and executive director of Jolt, a Latino civic engagement organization based in Austin, wrote an op-ed for the Austin American-Statesman recently where she likened O’Rourke’s campaign to Davis’ failed run for governor in 2016. In contrast, Abbott spent time building up his Latino voter outreach and getting his message across to the community. Tzintzun said running ads on Spanish-language television or using a few Spanish words in a speech doesn’t cut it. Neither does assuming Latinos will automatically vote for who they view as the lesser of two evils. “That is a failed strategy. As a result, Latinos end up staying home, unmotivated to turn out for a candidate they feel hasn’t turned out for them,” Tzintzun wrote. She believes O’Rourke is running a dynamic and progressive campaign but needs to work with Latinos more effectively if he has a shot at winning. Tzintzun believes that this includes listening to their issues, “engaging deeply” with community leaders, and building effective door-to-door outreach efforts led by grassroots Latino leaders who can relate to potential Latino voters best. 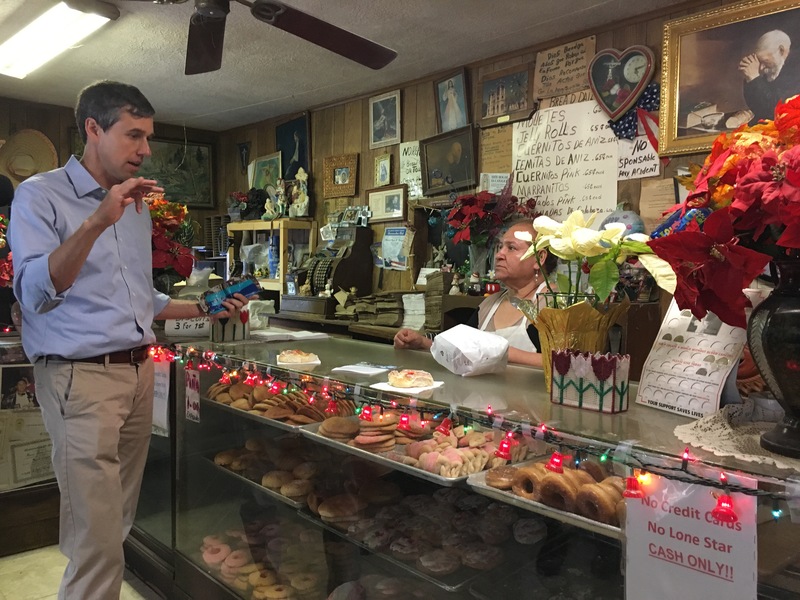 Tzintzun told Latino USA that while she believes O’Rourke is running a good campaign, she thinks he has the potential to run a great campaign. She suggests that O’Rourke should focus on how key issues such as healthcare, education and immigration reform affect the Latino community specifically. O’Rourke’s campaign should address Latinos about his plans for a pathway to citizenship for immigrants, for example. She said some Latinos may not attend town halls, but they can be found in their neighborhoods and at local churches. Prior experience in the labor rights movement has shown Tzintzun that knocking on doors of infrequent or first-time voters is sometimes all it takes to motivate them to vote. Movements like Jolt are working to mobilize Latino voters but also holding politicians accountable to get their message across to this segment of the population. For his part, O’Rourke, who speaks fluent Spanish, said he is open to constructive criticism, adding that he is here to listen to “smarter people” on the issues that matter to them. “[Tzintzun’s] article made so much sense,” he said, but added that he did participate in door-to-door campaigning during his successful U.S. House of Representatives race in 2012. Issues like accessible medical care and equitable education affect all Texans, O’Rourke said. In El Paso, nearly one-quarter of residents are uninsured, and Latinos are getting the short end of the straw. The key in education, he said, is ensuring all public schools have the investment, resources and accountability needed to offer all children “world-class” education. He said people tend to incorrectly associate immigration reform only with Latinos but it’s also an issue that impacts everyone. “I’ve written immigration bills and co-sponsored one of the Dream Acts,” O’Rourke said. 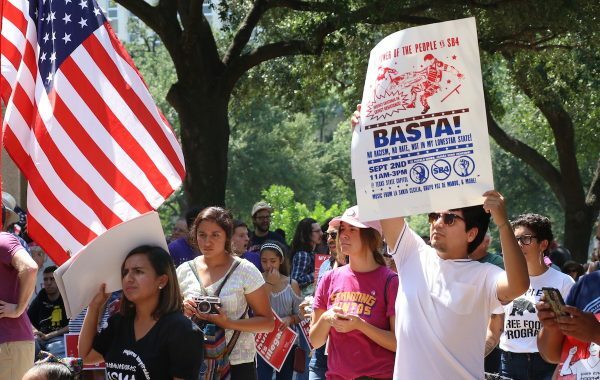 In a February town hall in Houston, a Deferred Action for Childhood Arrivals (DACA) recipient and a DACA supporter each challenged O’Rourke’s recent decision in January to vote to keep the government open at the expense of DACA. His decision was contrary to some other Democrats’ strategy for helping the 800,000 people living in the country under DACA. Some prominent Democrats, including Sen. Elizabeth Warren and Sen. Kamala Harris, wanted a solution for DACA recipients in Congress’ spending bill and were willing to withhold votes on that proposal to get it. He acknowledged the the January spending bill did not offer any protection for Dreamers or immigrants in general. It was a question of weighing the pros and cons, he said. “It provided tens of billions in dollars in storm and flooding relief for southeast Texas after [Hurricane] Harvey, funded the opioid crisis, providing funding for [veterans affairs] centers at a time of crisis in veteran suicide, but, if there were some path that voting ‘no’ would’ve provided certainty for Dreamers, or allowed us to address immigration, I would’ve been very open to doing that,” O’Rourke told Latino USA. He said protecting Dreamers may be an urgent first step but finding them a path to citizenship is the ultimate goal. One thing O’Rourke has learned in speaking directly to Dreamers who have addressed him at town halls or other public events, is that immigration reform cannot come at the cost of previous generations. He said Dreamers don’t want to be able to stay if it means their parents will still be deported. “The Dreamers are the first to tell me that the original Dreamers are their parents,” O’Rourke said. O’Rourke said many of the bills he’s introduced have come from meeting with people who are organizing. Then there are those like the proposed American Families United Act, which he and Steve Pearce (R-NM), co-sponsored and would allow U.S. citizens to sponsor immediate family members who were barred from entering the country. 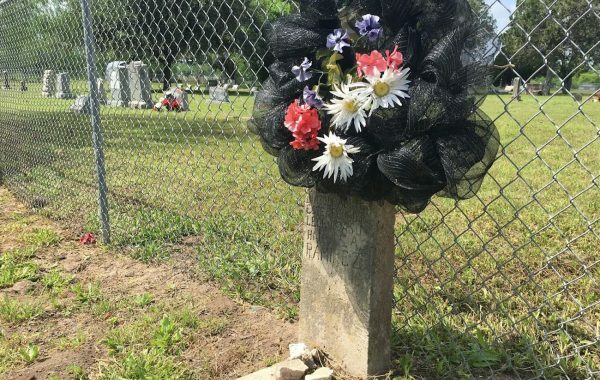 His support of that bill resulted from a wedding he attended at the Texas-Mexico border, where the groom was a U.S. citizen who married a Mexican citizen prohibited from entering the U.S. for the rest of her life after her sister lied to immigration officials years before. As of October 2013, the groom has lived in El Paso and the bride resides in Ciudad Juarez. The bipartisan duo worked together again on a bill in 2014 that would protect all border city residents and improve training and enforcement accountability of U.S. Customs and Border Protection employees. Last spring, O’Rourke went on a road trip with Rep. Will Hurd (R-TX), who decided to co-sponsor O’Rourke’s American Families United Act. In turn, O’Rourke added his name to Hurd’s American Law Enforcement Act, which would facilitate local police department’s hiring of veterans. Last October, he worked with fellow Democrat, Ruben Gallego (D-Arizona), to introduce the Protecting the Property Rights of Border Landowners Act, which would effectively ban eminent domain from President Donald Trump’s proposed border wall. “We do not need a 2,000 mile, 30-foot high wall separating us from Mexico,” O’Rourke said at the time, adding he didn’t believe it would improve safety or stop people from entering the U.S. In addition, O’Rourke explained that House Speaker Paul Ryan won’t allow votes on immigration, which makes it nearly impossible for the House of Representatives to make headway on the issue. He hopes to have greater opportunity to push for change if he wins a seat on the Senate. Despite his political record of supporting legislation that Latino Democrats largely approve of, there is still a gap at voting polls. Like most political candidates, O’Rourke has hit a few bumps during his campaign that may or may not influence Latino voters. 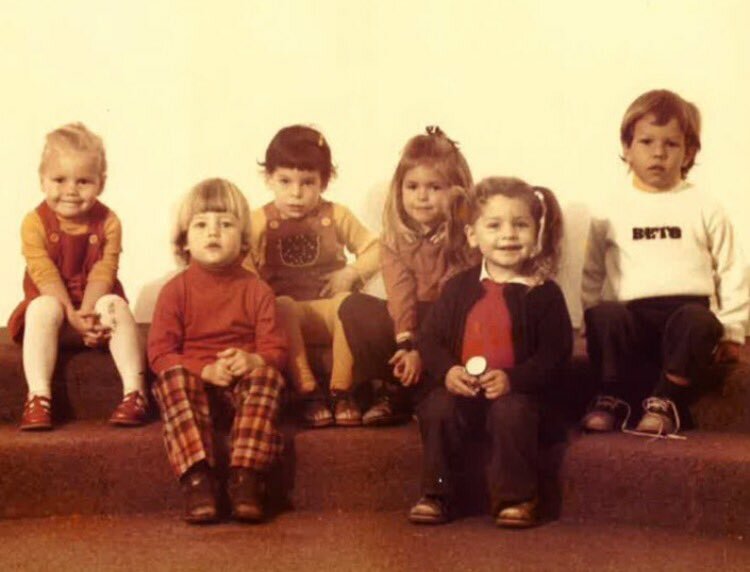 Just after the primaries, Cruz launched a political ad that criticized O’Rourke for using a Spanish nickname instead of his birth name, Robert Francis. But news personalities and political pundits such as Chris Cuomo quickly pointed out his move was hypocritical when he was effectively doing the same thing as O’Rourke. (Ted Cruz’s birth name is Rafael Edward). He said he doesn’t know if using a Spanish nickname has any kind of impact, whether negative or positive, with his supporters, but he said people can ask him about it if it’s a concern. “What I do find is that I’ve traveled to 226 counties and what they’ve asked me is how we’re going to make sure Dreamers can stay in this country and contribute to their full potential,” O’Rourke said. In 2013, O’Rourke was denied membership in to the Congressional Hispanic Caucus (CHC) despite representing a district whose constituents are largely Latino. O’Rourke was deemed ineligible because he lacks Hispanic heritage despite beating eight-term House member and former CHC member Silvestre Reyes. The caucus is a 26-member group whose goal is to voice and advance, through the legislative process, issues affecting Latinos in the U.S., Puerto Rico and the Commonwealth of the Northern Mariana Islands. It has task forces focused on civil rights, education, labor, diversity and inclusion. At the time, O’Rourke told the Texas Tribune he respected the caucus’ rules and bylaws, and declined to comment further. His comments to Latino USA largely remained the same. He said he’s simply found another way around the rules by working and staying in touch with members of the caucus, such as Chairwoman Rep. Michelle Lujan Grisham, Rep. Pete Aguilar, Rep. Salud Carbajal and many others. The district lost a seat on a caucus regarded as influential and that would regularly meet with then-President Barack Obama to discuss immigration, reform, border security and health care. Critics have also come at O’Rourke from the right. For instance, the 45-year-old candidate has stated in the past there is no border crisis—a sentiment that didn’t sit well with conservatives. According to a report by Free Beacon, O’Rourke complained about State Department travel warnings to the Mexican city of Ciudad Juárez, which borders El Paso. Political stories have also brought up O’Rourke’s arrest report before his political career began, which was used in attack ads from the Democratic incumbent he challenged in 2012. In 1995, he was taken on burglary charges for what he described to Free Beacon as a “prank gone awry.” In 1998, he was arrested for drunk driving. Nonetheless. O’Rourke entered Congress as an outsider, earning the support of both Obama and Bill Clinton. John Daniel Davidson, an Austin-based senior correspondent at The Federalist, believes O’Rourke will lose, just like Davis. He criticized O’Rourke for reportedly saying he doesn’t “give a sh*t what the NRA” thinks about his belief that there is no reason an AR-15 should be sold to civilians. Still, Davidson acknowledged that O’Rourke’s “downright impressive” for a Texas Democrat and is leading an aggressive and disciplined grassroots campaign. “O’Rourke’s lackluster showing in the primary says more about Texas Democrats than it does about O’Rourke,” he wrote. Despite what history has shown, O’Rourke’s Latino supporters remain optimistic that their candidate could still win. Some, such as third-generation Mexican-American Lisa Reyna Loe, has likened his charismatic personality, including his accessibility and what she deems as transparency, to Obama’s earlier years. 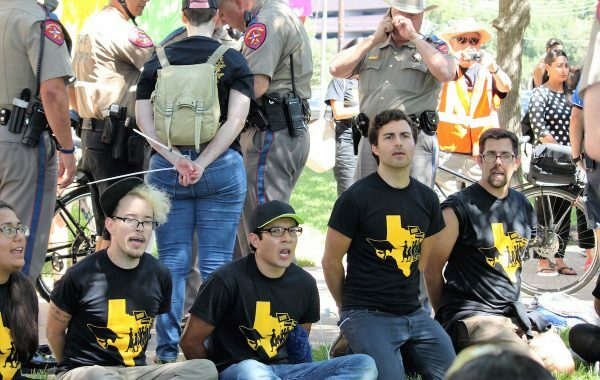 While he may have a past criminal record, O’Rourke has owned and grown from his mistakes, said Crysti Couture, a social media professional and longtime supporter. Dallas resident Soraya Colli founded the “Latinos for Beto” Facebook page soon after O’Rourke announced his candidacy. She plans to hold fundraisers, picnics, meeting and “talk strategy” throughout the year. Travis County precinct chair Tzatzil LeMair set up the Latinx for Beto group page for similar reasons. She said O’Rourke has an innate ability to engage people from all generations and backgrounds. He is socially active and tech savvy, Loe noted, and she pointed out that he could’ve chosen to follow his entrepreneurial pursuits anywhere after graduating college but instead decided to return to his native El Paso. “I almost feel a maternal pride at what he’s doing. He’s very culturally aware of what Texas needs to turn blue and remain blue,” she said.